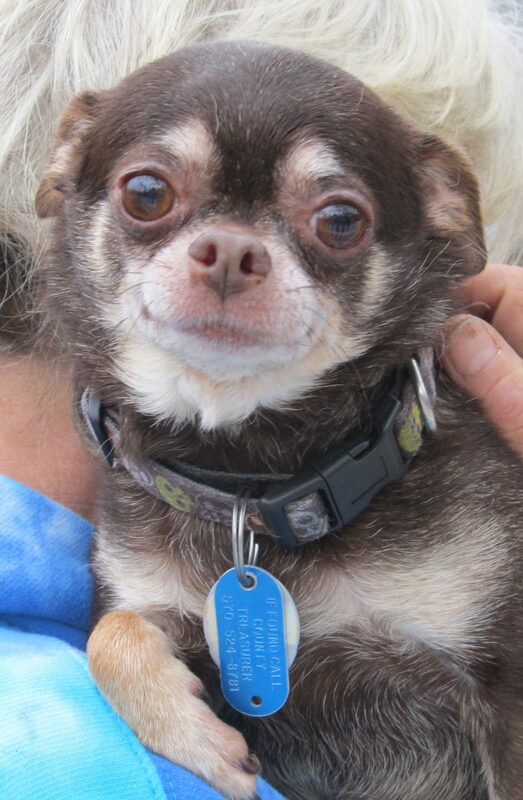 Lupe is an older little lady. She has a severe heart murmur. Lupe would prefer being held or snuggling up in a warm bed. A quiet home would be best. Lupe walks well on a leash, is housebroken, and gets along with other dogs. Her best friend is Tinker and they must be adopted together.